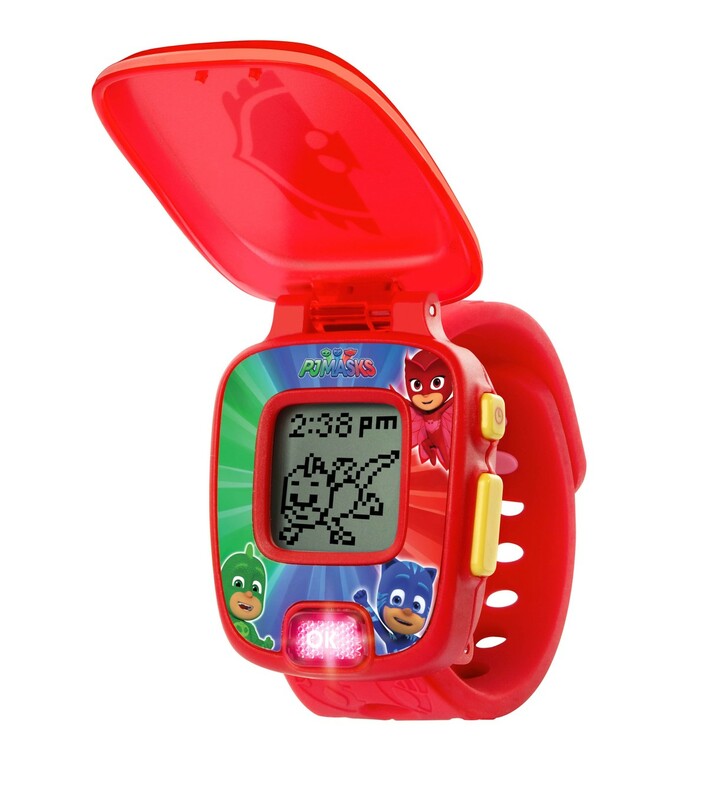 Put on the watch and save the day with the PJ Masks Super Catboy Learning Watch. Pretend to transform into Catboy and play four exciting games that explore shapes and early math skills while trying to defeat Romeo, Luna Girl and the Ninjalinos. 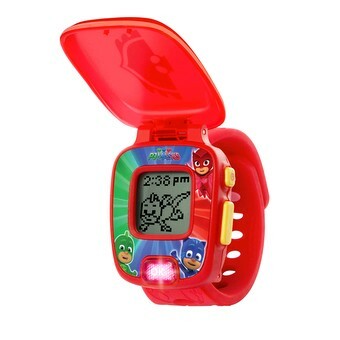 The watch also includes the voices of PJ Masks and nine different PJ Masks clock faces. An alarm clock with three alarm tones, timer, stopwatch and cuckoo clock add to the experience. It’s time to be a hero!